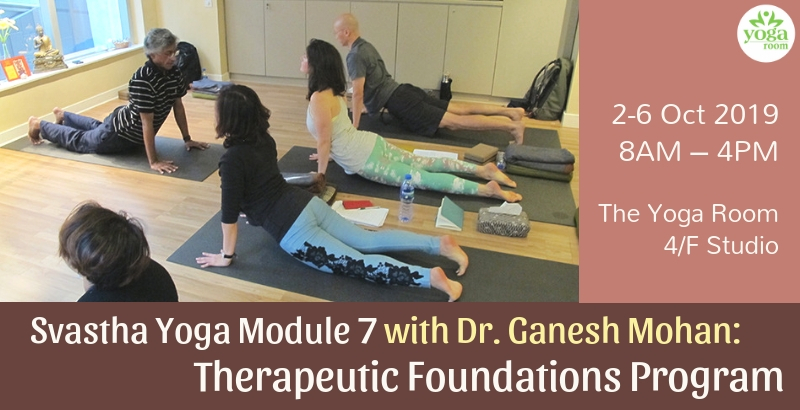 In this professional program on yoga therapeutics, we aim to bring you the most effective aspects of traditional Yoga and Ayurveda combined with modern medicine. Specific guidelines for different conditions and general treatment principles will be detailed, empowering you to safely and effectively address disabilities and ill-health through yoga. The program is a part of the advanced 300 hour Svastha Yoga: Therapeutic Essentials Program registered with the Yoga Alliance and delivered in 7 intensive modules (5 days for each module). The Svastha Yoga Therapy Program will be registered with the International Association of Yoga Therapists (IAYT) by 2017. Each module can be attended independently. This 5-day international program is delivered in 12+ locations across the world and offers you a pathway to continue to learn skills for other body systems and your mind as well. Certificates will be issued for each module. Case studies of different health problems of body, breath, and mind. Review of key concepts and practices from other modules. Dr. Ganesh Mohan is a physician trained in both conventional medicine and ayurveda. Son of A.G. Mohan and Indra Mohan, he started practicing yoga as a child, in the tradition of Krishnamacharya. He is well-versed in traditional yoga studies. His work in therapeutic yoga centers around employing the most relevant methods from ancient and modern healthcare. He is the co-author of the Mohans’ book Yoga Therapy (Shambhala Publications, 2004) and Krishnamacharya: His Life and Teachings (Shambhala Publications, 2010). He is an advisor to the IAYT in the USA and the AAYT in Australia.and full participation of training hours is required to obtain certification.